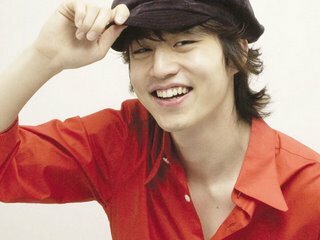 Saeng il Chukhahamnida, Lee Dong Wook sshi!!!!! May all your wishes come true! Wish you plenty of good health, happiness, and the best of success! LDW is going to receive some kind of birthday award on the 5th. He’s going to get it personally from the his fan club, who invited him to appear. His schedule is busy with filming his movie, but he was touched by the warm response of his fans so he decided to go. His birthday is actually the 6th, but since it’s a weekday, the celebration is being held on the 5th. He hopes to enjoy his time spent with his fans, and he’s even prepared to sing a song for his fans at the event. Special thanks to javabeans @ soompi for the news translation. doozy: Wah~ How I wish I am in Seoul, Korea right now so I can attend LDW’s birthday event and see him up close! Hmm… wonder if a certain special someone is going to attend this event similar to how he attended hers. Us mukgu-ers can dream, can’t we? This entry was posted in News and tagged Hyun Young, Lee Dong Wook by doozy. Bookmark the permalink.